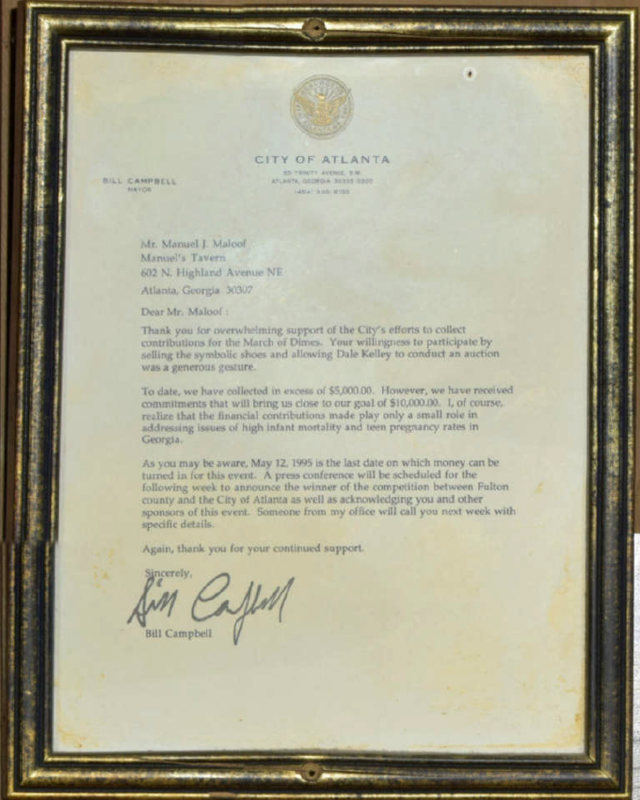 On yellowed paper, in a bronzed frame: a letter from Bill Campbell, mayor, to Mr. Manuel J Maloof, proprietor of the ﬁne establishment on whose wall it hangs. 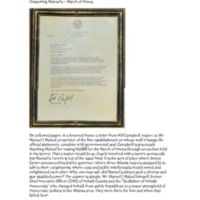 On official stationery, complete with governmental seal, Campbell is graciously thanking Maloof for raising $5,000 for the March of Dimes through an auction held in his tavern. 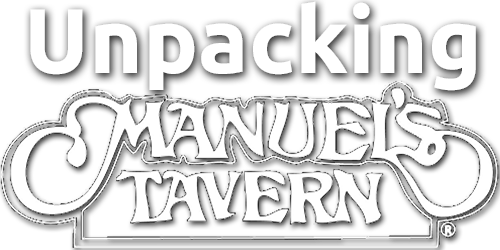 That a mayor would be so closely involved with a tavern seems odd, but Manuel’s Tavern is not of the usual kind. It is the sort of place where Jimmy Carter announced his bid for governor, where three Atlanta mayors stopped by to talk to their constituents, where cops and public intellectuals would mixed and enlightened each other. Why, one may ask, did Manuel’s attract such a diverse and star-studded power? The answer is simple, Mr. Manuel J Maloof himself, former Chief Executive Officer (CEO) of Dekalb County and the “Godfather of Dekalb Democrats" who changed Dekalb from safely Republican to a major stronghold of Democratic politics in the Atlanta area. They were there for him and when that failed, beer. Hence the Democratic Mayor of Atlanta’s signature proudly displayed on the walls of Manuel's Tavern, which are a history book unto themselves. Campbell was in only the second year of mayoralty and was viewed positively, however a heavily contested primary and the failure of his many policies over the next seven years would lead to deep satisfaction with Campbell. For now, however, Campbell would be talking about a major revitalization project, the Atlanta Empowerment Zone, which sought to use $250 million in federal money to help Atlanta’s 34 poorest neighborhoods over the ten year period from 1994 to 2004. Ultimately, it would fail and Campbell’s interference as mayor was cited as factor in reports by the both Federal, Housing and Urban Development, and state, Georgia Department of Community Affairs, governments. It later came out that Campbell’s administration was characterized by corruption, his and others, which he continued once he was out office earning a conviction for tax evasion in 2004. The March of Dimes is itself a Democratic establishment, founded by one of the great Democratic presidents of all time, Franklin Delano Roosevelt, as The National Foundation for Infantile Paralysis (NFIP) in 1938 to fight polio, the cause of his paralysis. The name March of Dimes comes from Eddie Cantor, a famous actor in the 1930’s, who encouraged citizens to send 10c a piece the White House as a donation to the Foundation. This was so successful that over $85,000 was collected and The March of Dimes went on to name their annual Christmas fundraiser, in which they setup booths in major American cities for each child could donate his or her dime to the. Eventually, The March of Dimes eclipsed the NFIP and it was officially renamed in 1976. Of course, by that time Polio had been eliminated and the March had expanded its efforts to helping prevent birth defects in general and had great success fighting Rubella and preventing premature births. 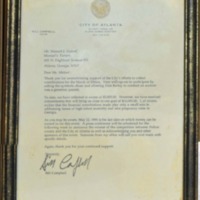 This letter, while seemingly inconspicuous, is a link to the lengthy association of Manuel‘s with Democratic politics in the state of Georgia from County CEO’s to future presidents and even to corrupt mayors. It points to Manuel’s tavern status as political establishment as much as local watering hole and perhaps more interesting for our view of it, a living history book each wall a page and each item worth studying and digging deep within to find connections to Atlanta. David Golden, “Essay: March of Dimes,” Unpacking Manuel's Tavern, accessed April 23, 2019, http://unpackingmanuels.com/items/show/1236.